Relaxed: Also known as "regular," these garments fit just right, not too baggy or not too slim. 5 - 7: Great for moderate snow, offers plenty of versatility, good for most conditions. 8 - 10: Great for temperatures 15°F and below. Turn up the style without losing an ounce of ski performance. 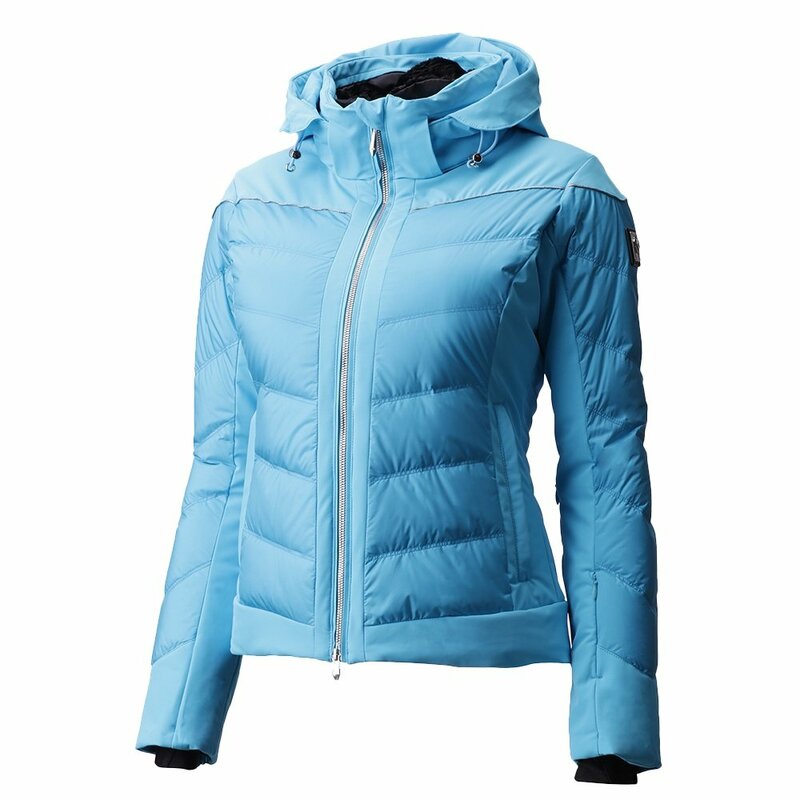 The Descente Nika Insulated Ski Jacket has the look of a fashionable puffy jacket and the full feature set of an all-out slope dominator. The fully waterproof-breathable outer fabric is backed by a combination of ultralight 800-fill down and Heat Navi insulation for total warmth. Stretch construction and Motion 3D™ design empower your every move for freer skiing. The powder skirt, removable hood, pass holder and Lycra® cuffs keep you prepared throughout the ski day. And for that extra splash of style, the jacket features Metaluxe zippers to elevate the look. ASK A QUESTION Got questions about this product? Ask them here. Got questions about anything else? Please see our FAQ. For 60 years we’ve been selling the finest outdoor clothing and gear available. Our roots firmly in Vermont, we’re now up and down the east coast, online, and have spread from Alaska to South Beach. We treat your secure and private information as we would want ours treated. We use some of the highest encryption to keep your information secure, and we don’t sell, rent, or share your information with any 3rd party, ever. Learn more. Copyright © 2019 Peter Glenn Ski and Sports. All Rights Reserved. Get exclusive offers, info, and coupons. We will not share your info with anyone.